The Advertiser – the company who wishes to advertise their products or services. The publisher / affiliate – the individual or company that promotes the products or services of the advertiser. The consumer – the one who actually sees the ad and decides where or not to click / buy. Affiliate marketing can be a very powerful way of marketing your product through other trusted and relevant networks. Are you looking for a sure fast way to sell your product? Do you want to gain more brand awareness with relevant consumers in your industry? 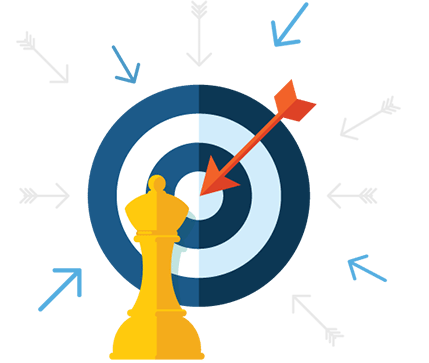 Are you looking to target a specific niche with your product or service? Help you connect – We help you connect with global affiliate networks and build partnerships that lead to success. Reach new audiences – We engage you with shoppers from all around the globe by connecting you with reputable successful publishers that suit your brand or service. Tailor your marketing plan – We start with you and gain a deep understanding into your target customer. From here, we can choose the best publishers to reach your target consumers anywhere in the world. We take the time to gain a deep understating of what you’re offering as well as your ideal potential customer. Once we have this insight, we use our experience to match you with the perfect affiliate partners that have the right consumer connections for your specific offering. We’re honest and tell your straight up what we feel can be achieved and in what timeframe. We won’t go ahead and promise you the world tomorrow if it can’t be delivered. Instead it’s a partnered approach where we work together to implement the best strategies. At One Egg, we’re always thinking of new and innovative ways to grow your business. This creativity blended with years of experience allows us to deliver services and insights that will grow your profit massively. What if I don't sell anything through my affiliate marketing? We put a lot of effort into research and analytics to ensure that you have a high chance of success in your affiliate programs however, we don’t stop there. We partner with you through the process and can test different strategies to deliver you the best results. How do I know how much I'm selling through affiliates? We will set you up with reporting and insights that will keep your finger on the pulse and give you absolute clarity into how your affiliates are performing. You’ll be able to clearly see your ROI and we can work with you to tweak and make changes to your strategy as you move through the affiliate process to ensure you’re getting the best possible results.